As fun and festive as the Christmas season is, it can also be downright stressful. From attending parties to buying gifts, from hosting family to decorating, cooking and baking . . . there’s a lot to do. If you don’t enter the season with a plan in place to maintain your sanity, the stress can set in fast. 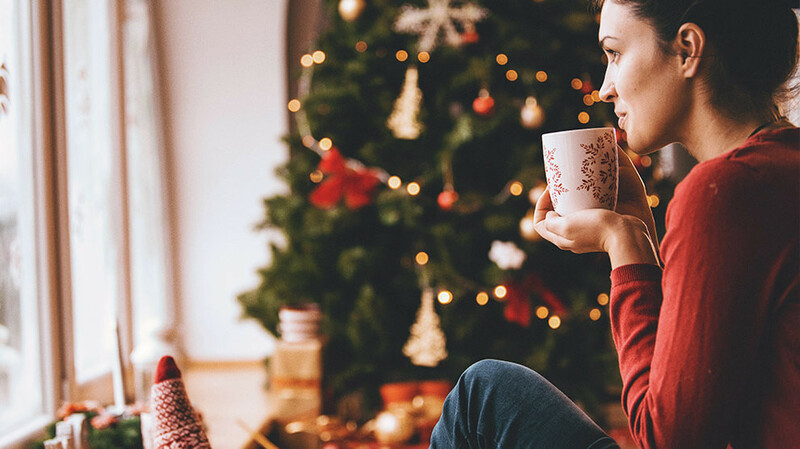 Here are four things to start doing now to make the countdown to Christmas the peaceful, joyful time it’s supposed to be. Lots of people enter the Christmas season with to-do lists as long as their kids’ wish lists. And while these people may start strong, come Christmas they’re raising the white flag. To keep from wearing yourself too thin, be realistic from the get-go about how much you can accomplish. Can you attend a party every weekend, or should you limit yourself to just a few? Do you have time to get your house ready to host out-of-town guests for a week, or would it be better to provide them with a list of great hotels nearby? Is it realistic to bake five dozen cookies and three pies, or would store-bought be okay this year? Be honest about what you’re able to do, and don’t beat yourself up if you have to scale back. Reevaluating your expectations is a great first step to taking the Christmas season more slowly. But here’s the hard part: actually turning down requests, invitations and opportunities as they come up. Don’t be afraid to say no when you just can’t take on one more Christmas-related responsibility. It’s okay to decline—and it’s a great way to establish boundaries between you and the stuff that stresses you out. No one can fault you for that. It’s so tempting to scroll through pictures of your friend’s great ski cabin in Vail, or photos of the brand new SUV your brother surprised his wife with, giant red bow and all. Then you find yourself on that ski resort’s website and maybe even looking at new SUVs online yourself. No bueno, friends. Because you have so many other things to do around the holidays—and because you need to remember how blessed you are—consider staying off your social media accounts (or at least limiting your time on them) until January. And on a related note, turn off the TV and focus on your family instead. Maybe you start a new Christmas tradition together, like reading the Christmas story in Luke next to the fire with hot apple cider or listening to Christmas carols while you wrap gifts to donate to kids in need. Taking a pause from those things keeps you focused on the life you’re living right in front of you—not the lives on the other side of the screen. Related: Challenge: 3 Ways to Go Screen-Free Tonight! Sometimes it’s easy to get caught up in all the Christmas stuff that’s not tied directly to Jesus. But Christmas was never meant to be a holiday that stresses us out and overextends us or one based on sales and spending. It was meant for us to pause and remember the quiet, peaceful, humble beginnings of Christ. And nothing in the birth of Christ speaks of stress or hurriedness or overscheduling. It’s meant to be a time of calm, of peace, of awe, and of worship. When you’re feeling stressed, it helps to remember that a tiny baby is the monumental reason for Christmas in the first place. Ready to slow down and celebrate this holiday season the way God intended? Put these four tips into practice in your own life and see if this Christmas isn’t the best one you’ve experienced in a long time. Listen to Chris Brown's True Stewardship for more encouragement on how to handle God's blessings His way for His glory!